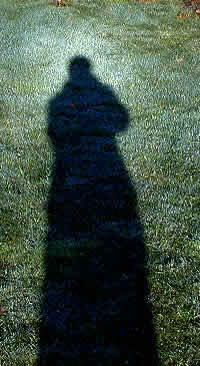 On a morning when shadows are long and the grass is dew wetted, look at the shadow of your head. With luck it will be enveloped by a sparkling white glow. This is the 'heiligenschein' or 'holy light'. The glow is centered on the antisolar point and so, like the glory, each has their own. When I moved the camera from my eye out to arms length, its heiligenschein moved with it. 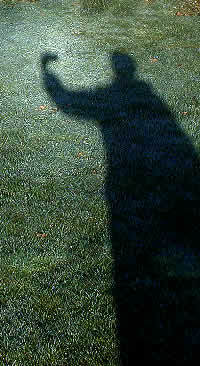 The Glory and the shadow opposition effect also produce glows around the antisolar point. The heiligenschein's glow is made in yet another way.